Administrative Law Judge (ALJ) Joan Herrington, Office of Administrative Hearings (OAH), heard this matter in Brentwood, California, on August 15, 16, 20, 21, and 22, 2012. Natashe Washington, Attorney at Law, appeared on behalf of Student. Hee, J. Kim, Attorney at Law, assisted Ms. Washington. Student’s mother (Parent) attended throughout the hearing on behalf of Student; Father attended the hearing on August 15, 2012 and for part of the day on August 21, 2012. Student did not participate in the hearing. Sarah L. Garcia, Attorney at Law, appeared on behalf of Brentwood Union School District (District). Director of Special Education Margo Olson attended throughout the hearing on behalf of District. 1 To maintain a clear record, the ALJ marked Student’s closing brief as Exhibit S-26 and District’s closing brief as D-46. 2 Student filed an objection to District’s closing brief alleging that District failed to comply with the ALJ’s order to limit briefs to 20 pages of double-spaced, 12-point font. Student’s compliance with the order to double-space resulted in a 23-line page brief, whereas District filed a 28-line page brief, resulting in an additional 2.85 pages of argument. District responded that it complied with all orders regarding the format of the closing brief, but offered no explanation for its smaller line spacing that yielded an additional five lines per page. District also countered that Student served his closing brief on District 24 minutes after the deadline. OAH records show that Student filed his closing brief before the 10:00 a.m. deadline. Both parties failed to specify how they were prejudiced by the other’s actions. For example, Student failed to identify any argument he omitted due to formatting constraints. Therefore, any prejudice resulting from the parties’ actions is found to be de minimis. The briefing objections are overruled. 3 The ALJ reworded and reordered the issues for clarity. No substantive changes have been made. Student did not raise predetermination of placement as an issue in his complaint, so this issue is not addressed in this decision. Issue 1: Did District deny Student a free appropriate public education (FAPE) by significantly impeding Parents’ ability to meaningfully participate at the August 19, 2011, April 23, 2012, and June 6, 2012 individualized education program (IEP) team meetings because it did not have a regular education teacher in attendance? Issue 2: Did District deny Student a FAPE by significantly impeding Parents’ ability to meaningfully participate at the August 19, 2011 IEP team meeting because it did not consider and discuss a continuum of placement options? Issue 3: Did District’s offer of placement in a special day class (SDC) in the August 19, 2011, April 23, 2012, and June 6, 2012 IEP’s deny Student a FAPE in the least restrictive environment (LRE)? Student requests that District provide him with a full-inclusion placement with appropriate supports and services, including a trained one-to-one aide and an independent inclusion specialist experienced in working with children with Down’s syndrome. Student requests, as compensatory education, intensive one-to-one instruction in core academic subjects provided by a nonpublic agency. Finally, Student requests that District reimburse Parents for preschool tuition and privately obtained speech and language therapy from August 2011 through the present. Student contends that District did not have a regular education teacher in attendance at Student’s August 19, 2011, and April 23, and June 6, 2012 IEP team meetings (collectively “IEP team meetings”). In addition, Student claims that District initially failed to consider a continuum of placements options in connection with the August 2011 IEP because District considered regular education “unavailable” since it does not operate a preschool for non-disabled children. Student contends that, as a result, District deprived Parents of the opportunity to meaningfully discuss regular education options. Student asserts that he progressed academically and socially at his private, full-inclusion daycare program (Little Handprints Preschool) without undue disruption or demands for staff’s attention, and that District knew this by August 19, 2011. Consequently, Student contends that District’s offer of placement in its SDC five days per week for the 2011-2012 school year denied him a FAPE because it did not provide him with the maximum opportunity to be educated with typically developing peers in the LRE as required by law. District contends that more than one District employee with a general education teaching credential who had information about Student’s performance in his then current regular education environment, knew about District’s preschool programs, and/or would be responsible for implementing Student’s IEP attended each of Student’s IEP team meetings. District also contends Little Handprints teachers were invited to attend Student’s IEP team meetings, but District could not compel their attendance. District asserts that Student’s initial IEP team, including Parents, considered a continuum of placements by discussing Student’s potential placement in District’s SDC and non-intensive speech program as well as Little Handprints. District further contends at least one Parent participated meaningfully at each of Student’s IEP team meetings by attending his IEP team meetings, being informed of Student’s needs, expressing disagreement with the team’s conclusions, and requesting revisions to the IEP. Finally, District contends that Student required intensive, specially designed instruction to meet his unique needs, and therefore, its offer of full time placement in the SDC was a FAPE in the LRE. 1. Student turned four in August 2012, and is eligible for special education and related services under the primary category of other health impairment (OHI) and the secondary category of orthopedic impairment (OI). He lives with Parents, an older brother, a twin sister, and a younger brother within District’s geographical boundaries. 2. Student has Down’s syndrome resulting in overall developmental delays and low muscle tone. Also, fluid collects in Student’s ears, resulting in a hearing impairment. In addition, Student has Hirschsprung’s disease resulting in gastrointestinal problems that require frequent, immediate diaper changes to avoid rashes. 3. On August 2, 2010, when Student was 23 months old, Joann Rossi, 4 a teacher with the Contra Costa County Office of Education’s Early Start program, assessed Student’s developmental progress by administering a Battelle Developmental Inventory Second Edition (BDI-2) test. Based on Student’s moderate overall developmental delays, the Regional Center of the East Bay (Regional Center) found him eligible for Early Start services. Rossi facilitated the development of Student’s Individual Family Services Plan (IFSP), and Martha Jiminez-Rosales coordinated his related early intervention in-home services. The Regional Center funded Student individual physical therapy with Kevin Daly once a week for an hour to address his low muscle tone, and individual speech therapy with Dawn Hopkins once a week for an hour to address his delayed speech. From age 18 to 36 months, Early Start funded Student’s specialized instruction by Rossi at his home and at his small play group with typically developing peers twice a week for an hour and one half per session. Rossi also provided Parents training and consultation services on how to address Student’s needs. 4 Rossi earned a bachelor’s degree in special education from Brooklyn College, New York in 1979 and a master’s degree in education from St. Mary’s College, Moraga, California, in 1982. In addition, Rossi took courses in early childhood special education at San Francisco State University, California from 1996 to 1998. She also earned a Learning Language and Loving It Instructor Certificate from the Hanen Center program in 2012. Rossi has held a California state multiple subject general education teaching credential since 1979, and a California state specialist instruction credential in special education since 1981. She has extensive experience teaching early education children with moderate to severe disabilities, and in evaluating their developmental deficiencies. 4. In preparation for its IEP team meeting of August 2011, District obtained information about Student’s unique needs and levels of performance from his IFSP file and transition meeting; District’s multidisciplinary evaluation of Student at Little Handprints; interviews with Mother, Little Handprints staff, and Rossi during the evaluation process; and, a written report on Student’s progress by one of his instructors at Little Handprints. The information acquired from each of these sources is discussed below. 5. On April 1, 2011, about five months before Student turned three, The Regional Center convened a meeting to facilitate Student’s transition of educational coverage from Part C to Part B of the Individuals with Disabilities Improvement Act (IDEA) in District. Rossi, Mother, and Samantha Sheldon, 5 District’s school psychologist, attended Student’s transition meeting at his home. The purpose of the transition meeting was to conduct a periodic review of Student’s progress on his IFSP goals, and to prepare for Student’s enrollment in the District and the development of his first IEP. 5 Sheldon has a master’s degree in educational psychology, and has held a California state multiple subject general education teaching credential since 1997. Sheldon also earned a California state pupil personnel services credential in 2003. 6. During the meeting, Rossi gave Sheldon a copy of Student’s IFSP file, which contained the following assessments reports: Dr. Moore’s October 9, 2008 Bayley Scales Infant Development, Second Edition report, Rossi’s August 2, 2010 BDI-2 report, Rossi’s February 11, 2011 BDI-2 report, and Reedy’s February 14, 2011 Preschool Language Scale Fourth Edition (PLS-4). Rossi’s February 11, 2011 BDI-2 test of Student’s developmental progress ranked his skills as follows: adaptive -32th percentile, 6 personal-social -47th percentile, communication -13th percentile, motor -37th percentile, and cognitive skills 23rd percentile. Rossi identified the domains of receptive speech and expressive speech as Student’s greatest areas of need. In addition, Rossi testified persuasively that discrepancies of three or more scaled score points below the average within subdomains, such as Student’s self-concept and social role as well as his gross motor skills, revealed areas of concern. 7 Reedy’s February 14, 2011 PSL-4 test to evaluate Student’s speech deficits ranked his auditory comprehension in the fifth percentile and his expressive communication in the fourth percentile. As a result of the 2011 assessments, Student continued to receive physical therapy, speech therapy, specialized instruction, and placement at his play group under his IFSP. 6 A percentile rank is an indicator of where a child performs in comparison to his peers on a range of 0 to 100. For example, a score of 32 percentile means that Student is functioning better than 31 out of a 100 of his same-aged peers. 7 Student’s standard score for adult interaction was 11 (above average) compared with 8 (well below average) for self-concept and social role. Similarly, Student’s standard score for fine motor skills was 12 (well above average) compared with 8 (well below average) for gross motor skills. 7. At Student’s April 1, 2011 transition meeting, both Rossi and Mother described Student’s current needs and progress to Sheldon. Based on their information provided to District, consistent with their testimony at hearing, the evidence established that, as of April 2011, Student had overall developmental delays, with moderate deficits in speech, language, and motor skills. Student had toilet-training needs and had acquired only five spontaneous words and five signs. Student had made great gains in his gross motor skills, including his ability to use stairs while holding a handrail and to kick a ball forward, and could follow simple routine directives at his play group and at home. 8. On May 11, 2011, Student’s case manager, Martha Jimenez-Rosales, mailed a copy of Student’s April 1, 2011 IFSP report and transition plan to District. In addition to other information, Student’s transition plan informed District that, although the Regional Center’s Early Start services for Student would end on his third birthday, community services (such as, Head Start, First Five, and Child Development Center) remained available options for Student. Accordingly, District knew prior to August 2011 that there were placements available for Student where he could be educated with typically developing peers, which is discussed below with respect to whether District offered Student a FAPE. 9. A school district is not required to operate a “regular preschool” 8 for nondisabled children, and there are no California State standards for a regular preschool curriculum. However, the record established that a regular preschool curriculum prepares children for learning. Typically, the half-day session is divided into segments such as free play time, large whole group circle time, small group table or center time, recess for toileting, snack time, outside time, and closing circle that target development of specific skills, as described more fully below. Nonetheless, each segment incorporates development of overall skills, and the curriculum is often unified through the use of weekly themes. Student’s private preschool and District’s SDC and Instructional Support Program (ISP) followed this typical regular preschool curriculum, with modifications targeting a disabled child’s unique needs. District’s non-intensive speech program (NISP) followed a similar format, but its curriculum was designed for children with articulations needs only. Consequently, its academic curriculum focused solely on developing speech and language. 8 The term “regular preschool” as used in this decision means a preschool for typically developing children. 10. At the beginning of the free play session, preschoolers learn to separate from their parents without anxiety, stow their gear, greet their friends, select and share toys and activities. Preschoolers then learn basic organization skills by putting the toys away in their assigned places in preparation for the next segment. By the end of preschool, typical developing preschoolers have transitioned from parallel play to cooperative play, and can match six to eight differently shaped pieces onto a board puzzle. 11. In large group circle time, preschoolers learn to sit in place and attend for 10-15 minutes while new concepts are introduced. These include learning alphabetic sounds using Open Court Reading Pre-K curriculum (Open Court) letter and sound cards. Open Court is a research-based preschool curriculum specifically focused on literacy. It uses fingerplays (such as, identifying pictured objects by pointing to them), rhymes, songs, and poems to promote reading readiness. During Open Court’s letter and sound card unit, the teacher holds up a card showing the letter and a visual illustrating its sound. The instructor leads the group in saying the sound of the letter, then saying or singing a rhyme that uses the letter’s sounds. To aid kinetic learning and memory, the group makes the particular movements associated with each card. Preschoolers also learn to hold books, turn pages, listen to a story, and develop and demonstrate cognitive skills by discussing the story. By the end of preschool, most typically developing children know the sounds of the alphabet, can use three-word phrases, and are ready to read. 12. During recess, preschoolers learn to use the toilet. During snack time, they learn social skills, such as lining up, waiting for their turn, finding and sitting in their assigned seat, and table manners, such as saying “please” and “thank you.” By the end of preschool, most typically developing children are toilet-trained or consistently signal their toileting needs, can sit in a chair, and can ask for things they want or need, such as food. 13. At table time, preschoolers break into small groups for more intensive instruction that develops number sense and the fine motor skills needed for writing. Preschoolers learn to join dots or copy shapes, use scissors to cut along lines, string beads, and use blocks to learn simple numerical concepts, such as “less” versus “more.” By the end of preschool, typically developing children have transitioned from holding crayons in a palmar grip to a pincer grip and are ready to write. Only some will have mastered the use of scissors. Typically developing children will have learned to count to five and follow simple two to three step instructions. 14. During outside time, preschoolers develop gross motor skills by running, jumping, climbing, swinging, sliding, and engaging in other similar outside play activities. Instructors facilitate imaginative play, such as reenacting nursery rhymes. By the end of preschool, most typically developing children can use stairs and move steadily without aid. 15. At the April 2011 transition meeting, Mother notified District that Student was on a waiting list to attend his elder brother’s former private day care -Little Handprints. Although Little Handprints calls itself a preschool, and teaches a regular preschool curriculum, it is a Family Child Care Home licensed to provide day care for up to 12 two to five year olds. Gretchen Ramos 9 and her mother own Little Handprints and operate it with the help of Ramos’ daughter. Sheldon testified that she was familiar with Little Handprints and its staff because her son had attended preschool there. However, the facility is not a registered private school or a certified nonpublic school (NPS), so was not an available placement for Student. 9 Ramos obtained credits in general education and early childhood education from a community college, and has 10 years’ experience teaching preschoolers at Little Handprints. 16. Prior to Student’s enrollment in Little Handprints, Ramos informed Parents that none of her staff were licensed teachers, and none had experience in working with children with disabilities in ways that addressed their unique needs related to their disabilities. Rossi gave Ramos a copy of Student’s IFSP goals, and assured her that only the Regional Center funded service providers, who at that time were speech therapist Laura Reedy 10 and physical therapist Marti Paulson, were responsible for implementing them. Rossi explained she would provide accommodations for Student and visit Little Handprints for an hour each week to advise its staff on how to modify its regular preschool curriculum and teaching methods to address Student’s needs. In June 2011, Student began attending Little Handprints for three hours each Tuesday and Thursday morning pursuant to his IFSP. From September 2011 to August 2012, Parents paid Little Handprints $25 per session, for a total of $2,225 in tuition for Student. 10 Reedy has a master’s degree and a certificate of clinical competence in speechlanguage pathology, and is licensed to practice as a speech and language pathologist in California. 17. The record established that Little Handprints and two of District’s three preschool programs, Special Day Class (SDC) and Instructional Support Program (ISP), followed a typical regular preschool curriculum and used the same typical standards to measure progress. District’s non-intensive speech program (NISP) was designed for students who had articulation deficits only. Consequently, NISP focused entirely on speech and language, and did not provide instruction in other pre-academic areas. 18. In consultation with Rossi, Little Handprints staff modified Student’s curriculum in a variety of ways. Rossi, Ramos and Mother persuasively established that, as of August 2011, Student often responded appropriately using eye contact, smiles, and gestures, but was essentially non-verbal. He needed visual aids to help him understand instructions and to elicit communications from him. Student learned to line up independently through the use of visuals depicting children lining up and by modeling his classmates at Little Handprints. Ramos also used Student’s desire for extras at snack time to motivate him to communicate. Ramos would offer him a choice of treats so that he could point to the one he preferred. Occasionally, Student would also sign or vocalize word approximations of the thing he wanted. Little Handprints staff used extra prompts that escalated from a verbal group instruction to hand-over-hand help as necessary. During table time, Little Handprints staff set Student an alternative task, such as a board puzzle, when the group task, such as prewriting, was beyond his capabilities. Student became as adept at completing board puzzles as his typically developing peers. Ramos also precut portions of Student’s paper so that he could successfully complete table time scissor tasks at the same time as his typically developing peers. Student remained an eager and confident learner at Little Handprints while still developing sufficient manual dexterity to independently eat applesauce with a spoon. 19.The record showed that during circle time Student was occasionally distracted by the larger group and his low muscle tone made it difficult for him to sit cross-legged. Student would sometimes try to crawl out of the circle. Paulson advised Little Handprints staff to hold Student next to them to prop him up. However, the proximity of the instructor encouraged Student to demand more individual attention. So, Student used a chair during circle time. Rossi also provided Student cardboard books to use during circle time to accommodate his difficulty in turning pages. Although the benefit of oral motor exercises, such as sucking a straw, is controversial, Reedy recommended them. So, Student used a cup with a lid and straw during snack time at Little Handprints. The Child Care Council also provided Student with a one-to-one aide until his third birthday to help with toileting, redirecting his attention to the task at hand, and keeping him safe outside, particularly near the swings. With these accommodations and modifications, Student made progress at Little Handprints. 11 Ramos testified credibly that the July 3, 2012 date on her report (Exhibit S-20) was incorrect, and that she wrote and gave this report to Mother just prior to Student’s August 2011 IEP team meeting. Ramos explained that her computer automatically updated the date on the report on the day (July 3, 2012) she reprinted it to give to Student’s attorney. Internal references to the need for an aide to replace the one provided by the Child Care Council corroborate that Ramos wrote the report in support of Parents’ August 2011 aide request. 21. Ramos also reported, and testimony at hearing established, that as of August 2011, during free play time, Student chose his toys and the classmates he would sit near, and shared toys willingly, but needed an aide to prevent him from dumping box after box of toys and to direct him during clean-up. During circle time, Student vocalized the calendar song and demonstrated excellent recall of routines, but needed help remaining seated and focused when not actively engaged in the whole group task. Student also still needed help with the alphabet and song movements and with lining up for snack time. During snack time, Student went to his assigned spot and ate well, but needed reminders to stay in his chair. Similarly, during small group table time, Student needed prompts to sustain his attention until coloring, gluing, and painting tasks were completed. Student also needed help controlling the amount of glue he used. Outside time was Student’s favorite segment, and he particularly enjoyed swinging, climbing, and sandbox activities, but he needed safety supervision. Ramos also corroborated Mother’s testimony that Student was tired by the end of his session at Little Handprints. 22. Based upon the above, by August 2011, District had sufficient information to know that Student was capable of being educated with his typically developing peers. As discussed below, District should have considered a placement that would have allowed Student to interact with typically developing peers to the maximum extent possible. 23. On August 9 and 11, 2011, District staff conducted a multidisciplinary evaluation of Student at Little Handprints. Rossi was present during the evaluations to explain Student’s accommodations and modifications. Because Reedy had tested Student so recently, District’s speech and language pathologist, Nelly Snider, 12 relied on Reedy’s two PSL-4 test results, as well as informal observations of Student at Little Handprints, and interviews of Mother and Ramos. Snider reported, and established at hearing, that Student “easily joined” her, was attentive, and followed directions when given physical cues and verbal prompts. Snider observed, and Mother corroborated, that Student learned by imitating the actions and speech of his typically developing classmates. 12 Snider earned a master’s degree in communication disorders from California State University, Hayward, and a bachelor’s degree in human development – childhood. She holds a California State clinical or rehabilitative services credential. She has extensive experience teaching special education children and providing services as a speech and language pathologist. 24. District’s occupational therapist (OT) Mary Hill administered the fine motor skills portion of the Peabody Developmental Motor Scales, and rated Student’s overall fine motor skills at the first percentile. Hill reported that despite overall soft muscle tone, Student had shoulder stability, was generally balanced, and frequently climbed on tables. Hill also observed Student happily interacting with classmates, and noted that he showed “frequent visual attention during group.” The record established that Hill’s findings and observations were accurate. 25. Sheldon administered the BSID-III, and reported Student’s cognitive ability as a standard score of 80 (with average being 85-115) and ranked him in the 9th percentile. Sheldon ranked Student’s motor skills in the 4th percentile. At Sheldon’s request, Parents completed the Vinland Adaptive Behavior Scales – Second Edition (Vineland2) questionnaire, in which Parents ranked Student’s daily living skills on the 23rd percentile, noting that he needed toilet-training. 26. Rossi’s February 11, 2011 assessment of Student’s cognitive abilities was higher than that of Sheldon. Sheldon testified that Rossi had attributed Student’s higher test results to her prompting him during testing, which Sheldon considered improper. This hearsay evidence was disregarded in light of Rossi’s direct testimony that her assessment of Student’s abilities was higher than others because tests provide merely a “snapshot,” of how a student performed on a particular day under particular circumstances. The record showed that Student was much more familiar with Rossi than any of his other evaluators, and that he related well to her. Sheldon noted in her evaluation that Student “changes his behavior depending on how well he knows another person.” Student’s propensity to perform better for those who know him best was corroborated by District’s non-intensive speech program teacher, Shannon Wagner. 13 Mother provided Wagner with a list of words and phrases that Student said clearly and routinely at home. Although Student’s speech logs reflected a more limited speech ability, Wagner believed Mother’s list was accurate because she once heard Student articulate “as clear as a bell” one of Mother’s listed phrases. Accordingly, Rossi’s February 11, 2011 assessment of Student’s abilities is found to be equally reliable as those of his other assessors in 2011. 13 Wagner earned a master’s degree in communication sciences and disorders degree from California State University at Chico in 2011, and a bachelor science in communication sciences and disorders degree from California State University at Chico in 2009. During her Clinical Fellowship Year at Chico, Wagner gained experience in clinical rehabilitation. She holds a California speech and language pathology services credential. 27. Based on the foregoing, as of District’s August 2011 IEP meeting, Student’s pre-academic and functional levels of performance and unique needs related to his disability included the following: significant communication delays, average adaptive and social skills, and below average cognitive and motor skills. Student’s fine motor skills were strongest with functional hand use, but delayed in early preschool tasks, such as beginning to use scissors, using a marker to copy simple strokes, and stringing beads. District also knew that Student was making progress at Little Handprints with the accommodations and modifications discussed in Paragraph 18 above. Further, District knew that Student learned not only from his teachers, but from the encouragement and support he received from the friends he had made there. District knew that, although Student might still need the support of a one-to-one aide, he had learned the routines at Little Handprints by modeling his classmates, and participated enthusiastically in all segments of the curriculum. Accordingly, as of August 2011, District knew Student benefited from being educated with his typically developing peers. Relevant changes, including progress or the lack thereof, subsequent to District’s initial offer are addressed in the context of the subsequent IEP meetings and offers. 28. Student contends that District violated the IDEA’s procedural safeguards by failing to ensure the attendance of a regular education teacher at Student’s August 2011, April 2012, and June 2012 IEP team meetings, and by failing to discuss and consider a continuum of placements at Student’s August 2011 IEP team meeting. District denied committing any procedural violations. 29. Procedural flaws, such as those alleged, do not automatically require a finding of a denial of FAPE. A procedural violation does not constitute a denial of FAPE unless the procedural inadequacy impeded the child’s right to a FAPE; significantly impeded the parent’s opportunity to participate in the decision-making process regarding the provision of FAPE; or caused a deprivation of educational benefits. 30. In addition to his contention that District failed to ensure the attendance of a regular education teacher or designee at Student’s IEP team meetings, Student further contends that District failed to invite Ramos to attend Student’s August 2011 and April 2012 IEP team meetings, and failed to ask for a written report when it knew Ramos was unable to attend Student’s June 6, 2012 IEP team meeting. 31. District contends that Olson, Sheldon, and Snider were qualified to fulfill the role of the regular education teacher at Student’s IEP team meetings. District further contends that Sheldon invited Ramos to attend each of Student’s IEP team meetings. 14 Where a school district operates a kindergarten for nondisabled children, then a kindergarten teacher who teaches typically developing children could appropriately fulfill the role of the regular education teacher at an IEP team meeting, and, as appropriate, participate in IEP meetings, for a kindergarten-aged child who is, or may be, participating in the regular education environment. (Assistance to States for the Education of Children with Disabilities and the Early Intervention Program for Infants and Toddlers with Disabilities (March 12, 1999) Fed. Reg., Vol. 64, No. 48 at p. 12472, Question No. 3 entitled “Regular Education Teacher Participation in the Development, Review, and Revision of IEPs”.) Here, however, District provided kindergarten to four and five year-old children, and during the 2011-2012 school year, Student was not yet four years old. 33. According to the Ninth Circuit, the rationale for requiring the attendance of the regular education teacher is that the persons most knowledgeable about the child must attend the IEP team meeting. Such persons include a child’s current private preschool teacher. Although a school district cannot compel a private preschool teacher to attend an IEP team meeting, it must invite the teacher to attend the preschooler’s IEP team meeting, and must request a written report if the teacher is unwilling or unable to attend. Moreover, the input provided by the child’s regular education teacher is vitally important in considering the extent to which a disabled student may be integrated into a regular education classroom and how the student’s individual needs might be met within that classroom. 34. Preschools where a school district might place a disabled pupil include a registered private school, a certified NPS, or a school operated by another public agency, such as Head Start. A school district may not place a student in a licensed Family Home Care Facility, such as Little Handprints. 35. District convened Student’s initial IEP team meeting on August 19, 2011. Although Sheldon usually attended as District’s administrator, Olson did so at this meeting. This was the first IEP team meeting for a preschooler that Olson had attended. She did so because Mother telephoned her prior to the meeting to inform her that Parents wanted Student to continue his successful program at Little Handprints. Sheldon attended as Student’s psychological evaluator, Hill attended as Student’s OT evaluator, and Snider attended as both Student’s speech and language evaluator and as his prospective special education teacher. No general 15 education teacher signed in for District in the IEP documents and the signature line for a general education teacher was blank. Rossi attended as the person formerly responsible for Student’s IFSP. Parents attended with Student’s maternal uncle and his fiancé. 36. For District’s April 23, 2012 IEP team meeting, Sheldon attended as District’s administrator or designee, Hill attended as Student’s OT therapist, Jennifer Woodman attended as the Contra Costa Special Education Local Plan Area (SELPA) facilitator, Olson attended as Special Education Director, Pezeshkan attended as Student’s speech therapist, and Melissa Pool attended as Student’s special education teacher. No one signed in as a general education teacher in the IEP document and the signature lines for a general education teacher was blank. Mother, but not Father, also attended the April 2012 IEP team meeting. 37. Following Parents’ removal of Student from the District in May 2012, District convened an IEP team meeting on June 6, 2012, at Parents’ request. For this meeting, Sheldon again attended as District’s administrator or designee, Hill attended as Student’s OTR therapist, Loraine Domenico attended as the SELPA facilitator, Olson attended as Special Education Director, Pezeshkan attended as Student’s speech therapist, and Pool attended as Student’s special education teacher. No one signed in as a general education teacher in the IEP document and the signature line for a general education teacher was blank. Parents also attended the June 2012 IEP team meeting. A Regular Education Teacher Was Required to Attend Student’s IEP Team Meetings. 38. District staff uniformly recommended placement in its SDC class 100 percent of the time based on Student’s need for specialized education in a language-enriched environment. However, District knew that Parents wanted Student to be mainstreamed to the maximum extent possible. District also knew that Student’s IFSP team believed that mainstreaming Student with accommodations, modifications and services was appropriate because it had supported his placement at Little Handprints. Most significantly, District knew that Student was making progress at Little Handprints and learned from modeling his typically developing peers. Based on this cumulative knowledge, District knew that Student “may be participating in the regular education environment.” Thus, District was required to ensure that a regular education teacher or an appropriate designee attended Student’s August 2011 IEP team meeting. The record showed that District failed to ensure the attendance of a regular education teacher or designee at Student’s IEP team meetings. 39. The records also showed that District failed to designate an appropriate person to fulfill the role of a regular education teacher at any of Student’s IEP team meetings. District argued that Olson, Sheldon, and Snider held general education teacher certifications and knew District’s available preschool programs. District further argued that Sheldon and Snider had observed Student at Little Handprints and interviewed Ramos during the August 2011 multidisciplinary evaluation, and so were appropriate persons to assume the general education teacher’s role at Student August 2011 IEP team meeting. However, the blank general education teacher signature lines and undisputed testimony at hearing established that District failed to designate anyone as the regular education teacher at any of Student’s IEP team meetings. 40. Even if District had designated Olson, Sheldon, or Snider as the regular education teacher member, the record showed they were not qualified to fulfill the role of a regular education teacher at Student’s IEP team meetings. None of them had taught Student or had experience teaching typically developing preschool children. Further, none of them understood the scope of District’s duty to mainstream a disabled preschooler or how Student’s IEP could be implemented in a regular preschool classroom. Sheldon testified that mainstreaming was “unavailable” to Student because District was not mandated to provide preschool for nondisabled children. Sheldon further revealed her misunderstanding of mainstreaming by testifying that a child who could be educated in regular education for 90 percent of the time would not be eligible for special education. 42. Snider testified that Student’s only mainstreaming options were to join kindergarten children for play time, library time, or computer lab time, and to join Little Handprints pupils on special occasions, such as an Easter egg hunt on Loma Vista Elementary School grounds. Consequently, Olson, Snider, and Sheldon were not appropriate persons to assume the role of Student’s general education teacher at his August 2011 IEP team meeting. 43. As to whether District invited Ramos to attend Student’s August 2011 IEP team meeting, the record established that Mother, not Sheldon, invited Ramos to attend, and that Ramos wrote her August 2011 report at Mother’s request. The record further established that Parents gave Ramos’s August 2011 report to Student’s August 2011 IEP team in support of their request for a one-to-one aide for Student at Little Handprints. Although Sheldon did not attach a copy of Parents’ request for an aide or Ramos’s August 2011 report to Student’s August 2011 IEP, she referenced the request in the IEP notes. 17 Further, the record showed that Sheldon also omitted other required information on Student’s August 2011 IEP. For example, Sheldon failed to record the percentage of time offered Student in a non-integrated setting. Despite notice of Ramos’ August 2011 report, the record showed that there was no discussion of Student’s ability to be mainstreamed or District’s mainstreaming options at Student’s August 2011 IEP team meeting. 17 Sheldon confirmed District’s awareness of the contents of Ramos’s August 2011 letter by referencing Little Handprints’ staff’s concern about being able to address Student’s needs. At hearing, to justify the IEP team’s failure to discuss mainstreaming Student at his IEP team meetings, Sheldon used this comment to characterize Little Handprints as an “inappropriate” placement for Student. Accordingly, the record established that Parents gave a copy of Ramos’s August 2011 report to his August 2011 IEP team, and they were aware of its contents. 44. In sum, District knew that Student “may be participating in regular education,” so it was required to invite Student’s private preschool teacher to attend his August 2011 IEP team meeting, or otherwise ensure that a regular education teacher or appropriate designee attended. By failing to do so, District committed a procedural error. 45. At Student’s April 23, 2012 IEP team meeting, District had gained further information about Student’s ability to cope with regular preschool with accommodations and modifications through Sheldon’s observations and her April 2012 Paraprofessional report. Sheldon reported, and testimony at hearing established, that during her weekly observations of Student from November 2011 to March 2012, Student was engaging in some disruptive behavior at Little Handprints. For example, Student had been provided with a Rifton chair that had extra supports, including a removable centerpiece, and a restraining strap. When Sheldon began observing Student, he was still adapting to use of the Rifton chair, and would pull out the centerpiece and throw it away. Consequently, Little Handprint staff permanently removed this centerpiece. Sheldon reported, and the evidence established, that by April 2012, Student had progressed sufficiently to no longer need a one-to-one aide at Little Handprints. Student no longer needed a Rifton chair, but could sit unaided on a regular chair. Student was no longer dumping toys from box after box, was engaging in cooperative parallel play and sharing toys during free play time. Although Student continued to need occasional redirection, hand over hand help with scissors, and help with toileting, so did some of his typically developing classmates. Accordingly, Student’s April 2012 IEP team had even more information that Student could be mainstreamed. Thus, District was required to have a regular education teacher or designee at Student’s April 2012 IEP team meeting. 46. District argued that Sheldon’s weekly observations of Student at Little Handprints from November 2011 to March 2012 had given her sufficient information about his current needs and ability to be mainstreamed to excuse Ramos’ non-attendance at Student’s April 2012 IEP team meeting. However, Sheldon’s observations of Student did not provide her with any further information as to District’s mainstreaming options. Consequently, Sheldon remained an inappropriate person to fulfill the role of Student’s regular education teacher at his April 2012 IEP team meeting. Therefore, District committed a procedural violation by failing to have a regular education teacher at Student’s April 2012 IEP team meeting. 47. At Student’s June 6, 2012 IEP team meeting, the team discussed the possibility of mainstreaming Student for the first time. The team constructed a chart comparing the extent to which SDC, ISP, NISP, and Little Handprints could address Student’s current unique needs. The team considered the appropriateness of Student’s placement at Little Handprints, and concluded it met all of Student’s needs except his speech-related and specialized instruction needs. Once again, however, District’s increased knowledge of Student’s ability to access the regular preschool curriculum with the accommodations and modifications provided there did not countervail District’s IEP team members’ lack of knowledge about District’s available mainstreaming options for Student. 48. The record showed that Sheldon invited Ramos to attend Student’s June 2012 IEP team meeting only, but knew that Ramos’ work duties would prevent her from attending. Despite knowing that Ramos could not attend Student’s June 2012 IEP team meetings, Sheldon failed to ask Ramos to provide a written report of Student’s current needs and any progress he had made since the last IEP team meeting. 49. In sum, in light of District’s cumulative knowledge that Parents intended to discuss mainstreaming options for Student; that Student’s IFSP team considered Little Handprints an appropriate placement with the accommodations, modifications, and services provided; and that Student was progressing at Little Handprints and learning from modeling his typically developing peers; District was required to invite Ramos to attend his IEP team meetings or ask her to provide a written report summarizing Student’s current needs; the accommodations, modifications, and services provided; and Student’s progress. District failed to do so. District was therefore required to ensure the attendance of some other regular education teacher or appropriate designee to attend Student’s IEP team meetings. District failed to do so. None of District personnel who attended Student’s IEP team meetings had sufficient knowledge of District’s mainstreaming options to appropriately fulfill the role of the regular education teacher at Student’s IEP team meetings. Accordingly, for all three IEP meetings in August 2011, April 2012, and June 2012, District committed a procedural violation of the IDEA. 50. Student’s complaint alleged District’s failure to include a regular education teacher or designee at his IEP team meetings impeded parental participation. Therefore,Student did not raise the issues of whether this procedural violation impeded Student’s right to a FAPE or denied him educational benefit. However, if a procedural violation is found to have significantly impeded a parent’s opportunity to participate in the IEP process, the analysis does not include consideration of whether the child ultimately received a FAPE. 51. Student established that neither a regular education teacher nor appropriate designee attended his August 19, 2011, April 23, 2012, and June 6, 2012 IEP team meetings. Student must also prove that the absence of the regular education teacher significantly impeded Parent’s ability to participate meaningfully in the IEP process. As a general rule, a parent has meaningfully participated in the development of an IEP when the parent attends the IEP team meeting, is informed of his or her child’s problems, expresses his or her disagreement regarding the IEP team’s conclusions, and requests revisions in the IEP. 52. Throughout the 2011-2012 SY, District’s formal offer of FAPE remained placement in its SDC preschool 100 percent of the time, for five days per week, 150 minutes per session, with goals and related services not at issue in this matter. At the time District made this offer of FAPE to Student, it knew that its SDC was too remote from the kindergarten class to offer Student any significant opportunities to interact with his typically developing peers during the 2011-2012 school year. District also knew that Parents disagreed with this proposed placement and wanted Student to be mainstreamed to the maximum extent possible. 53. The record established that there was little discussion of Student’s ability to be mainstreamed until his June 6, 2012 IEP team meeting. Olson testified credibly that during Student’s August 2011 IEP team meeting, Mother was so passionate about obtaining a full inclusion placement with related services for Student that Olson postponed discussion of Student’s placement until she could obtain a SELPA representative to facilitate the placement discussion. However, the record did not establish why it took Olson until June 2012 to have a facilitated IEP to discuss Student’s placement. During that time, the tone of Parents’ communications with District, and their concessions regarding a one-to-one aide and temporary, part-time placement in District’s NISP, and transfer to District’s SDC showed that Parents cooperated and were not unreasonable in their dealings with District. 54. The record established that Parents attended Student’s IEP team meetings, asked questions and received answers, and objected to the IEP team’s conclusions about Student’s placement. Nonetheless, the absence of a general education teacher significantly impeded Parent’s ability to participate in Student’s placement decision because, as discussed at length above, no one at Student’s IEP team meetings had sufficient knowledge about Student’s mainstreaming options to discuss them meaningfully. These mainstreaming option included placement in a certified private or nonpublic preschool for nondisabled children, or in a preschool for nondisabled children operated by another public agency, such as Head Start. District’s IEP team members failure to disclose to Parents that District was precluded from placing Student at Little Handprints because it did not fit into one of these categories showed how uninformed Parents remained about Student’s mainstreaming options even after his June 2012 IEP team meeting. 55. Based on the foregoing, District’s procedural violation denied Student a FAPE in connection with the August 2011 and April 2012 IEPs because Parents’ rights to participate in the IEP decision-making process were significantly impeded without accurate discussion of preschool options available to provide mainstreaming as an alternative to the restrictive SDC. 56. Student contends District did not have a continuum of placements available to Student at the August 2011 IEP team meeting because it considered regular preschool unavailable because it only operated preschool programs for special education pupils. Student argues that District had many ways to meet its obligation to have a full inclusion option, such as placing Student in a regular nonpublic preschool or nonsectarian preschool. 57. District contends that it considered a continuum of placements at Student’s August 2011 IEP team meeting by discussing the SDC, ISP, NISP, and Little Handprints, as reflected in the IEP notes and Parents’ exceptions attached to the IEP. 58. A local educational agency is required to have a continuum of program options available for a child. The continuum of program options includes, but is not limited to: regular education; resource specialist programs; designated instruction and services; special classes; nonpublic, nonsectarian schools; state special schools; specially designed instruction in settings other than classrooms; itinerant instruction in settings other than classrooms; and instruction using telecommunication instruction in the home or instructions in hospitals or institutions. 59. In California, a school district is not required to operate a preschool for children without disabilities. Nevertheless, the district must ensure that a preschool child with a disability is provided a FAPE in the least restrictive environment. Both the IDEA and California law require the provision of early education programs to children with disabilities between the ages of three and five. “Methods of ensuring that LRE requirements are met may include: (1) providing opportunities for the child to participate in preschool programs operated by other public agencies (such as Head Start or community based child care); (2) enrolling and funding preschool children with disabilities in private programs for nondisabled preschool children; (3) locating classes for preschool children with disabilities in regular elementary schools; or (4) providing home-based services.” Further, a placement team may elect to continue Part C early intervention services until the child is eligible for kindergarten or elementary school. A school district may provide special education and related services to a preschool child with a disability in a variety of “settings that are natural or normal for the child’s age peers who have no disabilities.” Such settings include regular early childhood programs where a majority of the children are nondisabled such as a kindergarten class, a public or private preschool program, a community-based child care facility, or the child’s home. 60. When developing each pupil’s IEP, the IEP team shall consider the following: (1) the strengths of the pupil, (2) the concerns of the parents or guardians for enhancing the education of the pupil, (3) the results of the initial assess or most recent assessment of the pupil, (4) the academic, developmental, and functional needs of the child. The IEP team shall also consider other special factors related to the unique needs of the child, such as whether the child needs: a behavioral plan, to obtain English proficiency, to learn Braille or a sign language, assistive technology, or other devise, intervention, accommodation, or program modification, in order for the pupil to receive a FAPE. 61. Student correctly asserts that a continuum of placement necessarily includes a full inclusion option. Student also correctly asserts that a school district that does not operate a regular preschool can fund placement at a private preschool program. District’s counter arguments fail because District was precluded from funding Student’s placement at Little Handprints, so it could never qualify as the full inclusion portion of an available continuum of placements. However, although the IEP team recommends placement of the child, there is no specific legal requirement that the IEP team must consider and discuss a continuum of placements. For example, the IDEA does not require an IEP team to consider a homehospital placement at each and every IEP team meeting. A home-hospital placement only needs to be considered at an IEP team meeting when Student’s state of health warrants such a discussion. 62. Therefore, District did not commit a procedural violation by failing to consider and discuss a continuum of program option for Student. 63. For a school district’s IEP to offer a substantive FAPE, the proposed program must be specially designed to address the pupil’s unique needs, and be reasonably calculated to provide some educational benefit in the LRE. 64. As previously discussed, District is not legally required to operate or maintain general education preschool programs for typically developing children of preschool age. Mandatory school attendance begins when a child turns six years of age. District therefore did not have any preschool classes for typically developing children when Student turned three years old in August 2011. 65. Regardless of a school district’s lack of obligation to operate a regular preschool, a special education pupil, over the age of three years, must be placed in the LRE in which he can be educated satisfactorily. A special education pupil must be educated with nondisabled peers to the maximum extent appropriate, and may be removed from the regular education environment only when the nature or severity of the pupil’s disabilities is such that education in regular classes with the use of supplementary aids and services cannot be achieved satisfactorily. For preschool children with disabilities, from three to five years of age, each SELPA is required to have early education services in appropriate settings that provide a FAPE. 66. An IEP is an educational package that must target all of a student’s unique educational needs, whether academic or non-academic. The term “unique educational needs” is to be broadly construed and includes the student’s academic, social, emotional, communicative, physical, and vocational needs. For a school district’s IEP to offer a student a substantive FAPE, the proposed program must be specially designed to address the student’s unique needs, and must be reasonably calculated to provide the student with some educational benefit in the LRE. To determine whether District offered Student a FAPE, the focus is on the appropriateness of the placement offered by District and not on the alternative preferred by the parents. 67. At the August 2011 IEP, District offered Student special education placement in its SDC for five days per week, for 150 minutes per session, with related services not at issue in this case. District’s SDC was designed for children with severe developmental deficits who needed intense specialized instruction each day in small group with a higher teacher to pupil ratio that District’s other preschool programs. 68. Sheldon failed to enter the percentage of time Student would spend in a nonintegrated setting on Student’s August 2011 IEP. Sheldon testified that her failure to complete District’s August 19, 2011 IEP offer as 85 percent special education and 15 percent general education was a clerical error. Mother testified, and Parents’ addendum to the initial IEP notes states, District offered Student placement in the SDC 100 percent of the time. Student’s April 23 and June 6, 2012 IEP’s both offer 100 percent placement in a nonintegrated setting. Further corroboration of Mother’s testimony includes District’s acknowledgement on the chart comparing District’s preschool programs with Little Handprints constructed during the April 23, 2012 IEP team meeting that Student had no opportunity to interact with typical peers in its preschool programs. Consequently, Sheldon’s testimony about her “clerical error” was not credible. 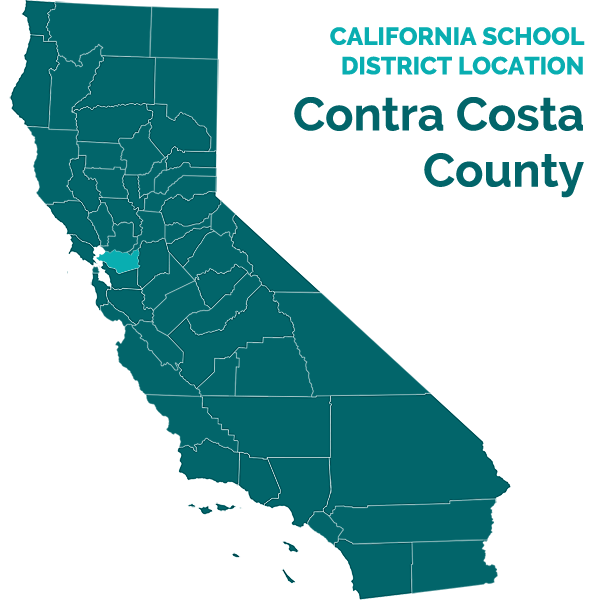 18 Furthermore, evidence established that the typically developing children, close to Student in age, were placed on the Loma Vista Elementary School campus at such a distance from the proposed SDC to preclude meaningful interaction with Student. Parents disagreed with District’s offer and asked for Student to be placed at Little Handprints with a one-to-one aide because Student learned from modeling his typical peers and he had the right to be educated in the least restrictive environment. 69. Student’s August 2011 IEP team discussed Student’s eligibility for special education, placement in District’s SDC class, and proposed goals. 19 Mother asked for revision on some goals, so they were not approved at this meeting. 19 District objected to the admission of evidence of Student’s goals on the grounds that it was irrelevant since goals were not at issue. At hearing, the ALJ tentatively overruled District’s objection because a District witness had testified that goals help determine placement, which is the dispute central to this case. Although parties have raised no disputes about goals in their closing briefs, evidence of Student’s goals is relevant. Goals not only help determine placement, they also help track Student’s progress. Therefore, District’s relevancy objection is overruled. 70. Because the parties made no progress regarding placement, Olson ended the IEP meeting and it was continued to a date to be determined by the availability of a SELPA facilitator. Meanwhile, the parties agreed informally that Student would attend District’s NISP two days a week for 150 minutes per session. 71. On August 25, 2011, Parents submitted a four-page document of “exceptions” to District. Parent’s exceptions referenced that their emphasis during the meeting was that “soft skills, communication skills, social skills, and bonds fill so essential a need for a child” should override academic concerns. They also reiterated their request for a one-to-one aide supported by Ramos’s August 2011 report. The evidence established that Sheldon agreed to evaluate Student’s need for an aide. Parents continued to fund Student’s part-time continued placement at Little Handprints. 72. On August 31, 2011, Student began attending District’s NISP taught by Wagner for two days per week for 150 minutes per session on a temporary basis, without an agreed upon IEP. That afternoon, Wagner emailed Olson protesting that Student needed his diaper changed twice during the session, which deprived Student and the other pupils of 20 minutes of instruction each time. Wagner also noted that Student’s need for constant redirection consumed too much of her attention. Wagner opined that District’s SDC was a better fit for Student because his evaluation showed overall significant delays rather than only the articulation problems the NISP class was designed to target. The record showed that, like Ramos, Wagner assigned Student a different task when he could not perform at his classmate’s level. 73. Student attended District’s NISP until mid-October 2011. At that time, Student transferred to District’s SDC for two days per week for 150 minutes per session. Despite the mid-year transfer, Student transitioned easily into the SDC. During the entire time, Student continued to attend Little Handprints two days a week for three hours a session. 74. District convened Student’s April 23, 2012 to present Sheldon’s April 2012 report on Parents’ Request for Additional Paraprofessional Support (Paraprofessional report) at Little Handprints. 75. Sheldon’s Paraprofessional report was based on her regular observations of Student at Little Handprints from late November 2011 to March 2012. Sheldon reported Student, like some of his typically developing preschool peers, experienced difficulties at Little Handprints related to scissor work and toileting. Sheldon also reported Student’s occasional inattentiveness during circle time and distraction caused by the centerpiece of his Rifton chair. Sheldon reported, and the evidence established, that Student was making progress at Little Handprints. Sheldon concluded the difficulties Student was still experiencing or creating at Little Handprints were insufficient to warrant providing him with either a one-to-one aide or any extra support to access the regular preschool curriculum at Little Handprints. The IEP team, including Mother, agreed with Sheldon’s conclusions. 76. Mother approved Student’s revised goals. Student’s motor skills goals were: sitting upright and attending for 10 minutes; gaining independence in self-help skills (such as, stepping on and off a stool and a toilet and using stairs); interacting with peers without falling down; improving shoulder girdle stability, imitating strokes (horizontal, vertical, and circular); snipping paper along a line while holding the scissors properly; jumping from the bottom step; walking forward five feet; jumping forward four inches; and walking on tiptoes for four steps. Student’s cognitive goals were: unscrewing a jar lid; stringing three beads; attending circle time for 10 minutes; completing 2-piece floor puzzles; completing novel two-step directions; understanding basic math concepts (such as “one block,” “more blocks” and “most blocks”); and engaging in play involving two steps. Student’s social goals were: sucking from a straw; taking off open-front clothing; pulling up elastic pants; consistently signaling toilet needs; playing cooperatively for five minutes; sharing toys when asked; using “please” and “thank you” appropriately, and chewing with his mouth closed. 77. During Student’s April 2012 IEP team meeting, progress on his approved goals was updated. Student had gained sufficient strength to no longer need his Rifton chair. He could sit unaided in a regular chair. However, reinstitution of his occupational therapy for his fine motor goals was recommended. Student still needed hand-over-hand help with scissors and with tracing. 78. Without agreeing to Student’s proposed IEP, Mother agreed to continue his temporary placement in District’s SDC class two days per week for 150 minutes per session. Parents also continued Student’s part-time enrollment in Little Handprints for two days per week for three hours per session. 79. On May 15, 2012, Mother visited District’s SDC to observe Student. Mother was unimpressed by the level of competency of SDC staff. She observed that Student did not engage with others in the SDC class. She also observed an SDC aide reduce one of Student’s classmates to tears by interfering with the classmate’s attempts to perform the work independently. Finally, Mother observed another child repeatedly engaging in disruptive behavior, such as throwing things, and that the aide’s attempts at intervention were ineffective. According to Mother, the aide appeared overwhelmed. So, Mother removed Student from the SDC. 80. On May 22, 2012, Parents notified District that they disagreed with the offer to place Student in District’s SDC preschool, and had placed him in a private preschool. Parents also notified District that they intended to hire a private speech pathologist so that Student could continue receiving speech services. However, Parents obtained Reedy’s services several weeks before they removed Student from District. Student provided no explanation for Parents’ action with respect to speech and language services. The record showed that Parents were aware that they could consent partially to District’s offer, and had done so on Student’s April 24, 2012 IEP. Further, Student failed to establish that District refused to continue speech services to Student after his removal. Consequently, the record showed that Parents refused District’s offer of services on his June 6, 2012 IEP. 20 Student continued attending Little Handprints for two days per week for three hours per session until August 1, 2012. At that time, he began attending Little Handprints for three days per week, for three hours per session. 82. Mother requested Student’s June 6, 2012 IEP addendum team meeting because she had removed Student from District’s SDC room. Parents notified District of their intent to place Student exclusively at Little Handprints and provide private speech therapy for him there unless District made an acceptable IEP offer. Nonetheless, District continued to offer Student SDC placement five days per week for 150 minutes per session, with related services not at issue. 83. District finally arranged for a SELPA representative to facilitate discussion about whether District’s placement of Student in its SDC, ISP, NISP or Parents’ placement of Student at Little Handprints appropriately addressed his unique needs. With the help of the SELPA representative, the IEP team created a chart comparing the degree to which District’s SDC, ISP, and NISP as well as Little Handprints, could address Student’s weaknesses and strengths. Student’s needs were identified as: speech services, gross motor skills, fine motor skills, specialized instruction, small teacher-student ratio, more frequent instruction, the opportunity to interact with typically developing peers (such as, transitional kindergarten), support for easing into routines, smaller group speech therapy, more frequent speech therapy, and toileting instruction. Student’s strengths were identified as learning by modeling peers and siblings, and thriving with positive reinforcement. The chart reflected that Little Handprints could meet all of Student needs except those related to speech and specialized instruction. As previously discussed, the chart reflected that none of District’s preschool programs permitted Student to interact with typically developing peers. Parents remained unconvinced that Student required SDC full-time to make progress on his goals. 84. In fact, Student had made progress and met some of his goals by June 2012. He could indicate choices by saying “yes” or “no;” draw circles and lines, imitate lines and circles, identify alphabetical letters, demonstrate visual discrimination skills, and complete puzzles. His strengths were his excellent memory, patience, and tenacity. He was becoming an independent learner. 85. As indicated above, various factors must be analyzed to determine whether a placement offer is in the LRE. Here, District staff uniformly testified that District located its preschool programs for children with disabilities on the Loma Vista Elementary School campus to allow preschool children with disabilities the opportunity to interact with general education kindergarten students in the playground, computer lab, and library. District also planned for privately placed typically developing preschool children to join its preschoolers on special occasions each month. For example, in April 2012, Little Handprints children, including Student, joined District SDC preschoolers for an Easter egg hunt on Loma Vista grounds. 86. However, the evidence established that District’s actual SDC program did not actively and regularly provide Student anything more than de minimus interaction with typically developing peers. Ramos testified credibly and without contradiction that all but three or four SDC preschool outings with typically developing peers were cancelled during the 2011-2012 SY. Webster testified credibly that while Student attended NISP, he interacted only with the other disabled classmate because the kindergarten area was too remote from the NISP class. 87. It is undisputed that Student’s severe deficits in speech and language and gross motor skills were his greatest needs. The record also established that Student needed a small group environment to remain engaged until the task was completed. Although Student was generally attentive and persistent, he was occasionally distracted during large whole group circle time. Student also needed a small group setting to limit the risk of being bumped or jostled by others because his low muscle tone made him susceptible to falling. District’s SDC with its low teacher-pupil ratio provided Student with an appropriate small group environment. 88. Student learned best from modeling and from use of visual supports. Wagner testified credibly that Student needed a language-enriched environment and instruction that would elicit speech from him, since his articulation problems could not be addressed unless or until he was actually speaking. Pezeshkan testified credibly that she provided SDC teachers Pool and Snider with lots of visual supports, such as PECS, to use with Student. SDC also used the Open-Court sound and word cards. According to Snider’s speech and language progress summary, Student had made some progress on his goals. However, District’s SDC did not provide him with typically developing peers whose speech he could model. All of the children in SDC had severe deficits, which often included speech deficits. Reedy’s April 26, 2012 PLS-4 test shows that the gap between Student’s speech ability and that of his peers had widened since August 2011 because Student’s progress was so much slower than that of his peers. Accordingly, Reedy’s April 26, 2012 test results showed that Student had regressed to the first percentile in both expressive and receptive speech. 89. District argued that its offer of SDC five days per week was appropriate to address Student’s speech and language needs, but that he progress so slowly because he only attended SDC two days per week. While District has a point, its offer of SDC five days per week failed to consider that Student was the youngest in District’s SDC and tired easily. Both Mother and Ramos testified credibly that by noon, Student was ready for his daily nap. District’s witnesses testified uniformly that they did not perceive that Student tired easily. However, these witnesses failed to take into account the fact that Mother prevented Student from over-taxing himself by allowing him to attend preschool only four mornings a week. District was aware that Student had not made much progress on his speech and language goals, and attributed this to the fact that he needed more frequent, shorter sessions of intense speech instruction. Student’s need for more frequent, intense speech instruction was acknowledged at his June 2012 IEP team meeting, yet District continued to offer SDC five days per week for 180 minutes per session, rather than individualized speech therapy. Thus, District’s offer was not reasonably calculated to meet Student’s unique needs. 90. Whether a pupil can be mainstreamed in a regular education class is determined by balancing four factors: (a) the educational benefits to the child of placement full-time in the less restrictive placement; (b) the non-academic benefits to the child of such placement; (c) the effect the disabled child will have on the teacher and children in the less restrictive placement; and (d) the costs of educating the child in the less restrictive placement with appropriate services, as compared to the cost of educating the child in the more restrictive setting. 21 However, if it is determined that a child cannot be educated in a general education environment, then the analysis requires determining whether the child has been mainstreamed to the maximum extent that is appropriate in light of the continuum of program options. 91. The evidence showed that Student derived some educational benefit from his placement at Little Handprints, and District knew this by August 19, 2011. As discussed above, both Mother and Little Handprints staff reported specific instances of progress to District’s evaluators that Student had made since he started at Little Handprints, and District noted these in its August 2011 multidisciplinary evaluation report. District evaluators also noted that Student was attentive and persistent when performing tasks – two important “learning to learn” skills. 92. Moreover, Ramos’ August 2011 report supporting Parents’ request for a oneto-one aide notified the August IEP team that Student had settled into the routine at Little Handprints by modeling his peers, had progressed from dumping box after box of toys during free play time to only occasional box dumping. Instead, Student selected toys and classmates to play with side by side, and shared toys willingly. Ramos also reported that although Student was still working on maintaining attention throughout circle time, “he becomes focused and engaged” as soon as staff or classmates interact personally with him. Ramos concluded that Student “was doing well…” at Little Handprints. Accordingly, District knew as of August 2011 that Student was capable of gaining some educational benefit at Little Handprints. 93. Sheldon acknowledged in her April 23, 2012 Paraprofessional report that Little Handprints used “age-appropriate materials and activities” and that “District-adopted language arts curriculum was used in both SDC and at Little Handprints.” Sheldon noted that Little Handprints staff reported that Student was beginning to transition from parallel play to initiating play with peers. Sheldon observed Student participate in Open Court letter and sound card activities, and noted in her April 2011 Paraprofessional report, “[Student] followed along with his eyes during the alphabet cards and participated actively in the movements for each letter sound card…[Student] appears to be a visual learner and is very motivated by visual and kinesthetic activities.” As to prewriting skills, Sheldon noted that once an instructor had adjusted Student’s pencil grip, he worked independently and used a “helping hand” technique to hold his paper in place. Sheldon acknowledged the improvement in Student’s gross motor skills by noting he was “completely independent” during outside play time. 94. Sheldon not only concluded that Student had made sufficient progress in attentiveness and motor skills to no longer need a one-to-one aide, she stated outright, “[Student] is making progress.” In other words, District’s own documents acknowledge Student’s progress at Little Handprints. 95. By June 6, 2012, District acknowledged that Little Handprints could meet Student’s needs, except for those related to speech, and specialized instruction. Although none of the staff at Little Handprints were certified teachers qualified to provide specialized instruction designed to meet the student’s needs, they received weekly consultative support from Rossi until August 2011, as described above. The record showed that Little Handprints staff had benefited from her consultations, and continued to utilize her recommended accommodations and modifications as they continued to work with Student. 96. When asked to provide an example of specialized instruction that District contended was available in District’s language-enriched SDC but not available at Little Handprints, Sheldon described requiring Student to choose a treat during snack time by presenting him with visuals of various food from which he could choose his snack. At Little Handprints, snacks were already laid out on the table when the pupils entered the room, but Little Handprints’ staff used this same “specialized” method of instruction whenever Student wanted an additional treat. Ramos testified credibly that Student regularly asked for extras during snack time using this method. Snider corroborated that Student was very engaged during snack time and highly motivated by the prospect of gaining treats. The record showed that Ramos routinely presented Student with visual choices to elicit communication and allow him to demonstrate understanding. For example, during circle time, Ramos would involve Student in the story being read by asking him questions such as, “Where’s the dog?” so that he could respond by pointing to the book’s illustration of the dog. Given the frequency of Ramos’ use of visuals and the regularity of Sheldon’s visits from November 2011 to March 2012, it is reasonable to assume that District knew that Student was receiving similar specialized instruction at Little Handprints. Sheldon commented in her April 2012 Paraprofessional report, “It is noted that [Student] follows along visually and is beginning to give verbal output related to activities.” This comment reinforces the conclusion that District knew that Student received the same type of “specialized instruction” through the use of visuals to elicit communication and demonstrate understanding that was used in District’s preschool programs. Therefore, District knew that by June 2012, Little Handprints instructors were addressing Student’s needs, other than speech therapy and physical therapy, and that Student had gained an education benefit from his placement at Little Handprints. 97. Placement at Little Handprints allowed Student full inclusion with typically developing peers. District’s own documentation, including Student’s August 19, 2011 multidisciplinary evaluation, reflected that Student benefited by modeling the actions and speech of his typically developing classmates. Ramos, in her August 2011 report, notified Student’s IEP team that he participated enthusiastically, and concluded that Student was “gaining self-confidence and is doing well…He has gained friends who support and encourage him.” Accordingly, as of August 2011, District knew that Student gained nonacademic benefits through his interactions with typically developing peers at Little Handprints. 98. In her April 2012 Paraprofessional report, Sheldon highlighted the fact that Student “[u]sually gets along with peers and adults” and that he “[s]eeks out friends.” In this way, Sheldon’s report corroborated in part the information Ramos had previously provided regarding the support and encouragement Student received from his friends at Little Handprints. Accordingly, as of April 2012, District knew that Student gained noneducational benefits from interacting with his nondisabled friends at Little Handprints. 99. District acknowledged at Student’s June 2012 IEP team meeting that one of his strengths was learning from modeling his siblings and peers. Accordingly, the record established that District knew that Student gained non-educational benefits from interacting with his typically developing peers at Little Handprints. 100. The record shows Student is a biddable, well-behaved child. However, Student’s eagerness to engage with his instructors and peers was occasionally disruptive. When Student first started at Little Handprints, he demanded an inordinate amount of attention from Little Handprints staff, so was temporarily provided a one-to-one aid. Sheldon noted in her report that Student’s demands for attention escalated if he sat too close to Little Handprints instructors. Consequently, Little Handprints staff began sitting just behind Student out of his direct line of sight, and Student’s demands for attention decreased. 101. In March 2012, Student’s ear tubes were replaced, and Mother and Ramos testified credibly that his need for prompts and redirection diminished significantly. As reported above, by April 2012, Student no longer needed a one-to-one aide or any other supports. Student also no longer needed the Rifton chair, but would sit quietly on a regular chair. By the end of the 2011-2012 school year, Student was familiar with routines at Little Handprints, and followed them “with minimal assistance.” Based on Ramos’ July 3, 2012 report, and corroborated by her testimony at hearing, Student made friends at Little Handprints, and both his classmates and his instructors supported and welcomed his participation. 102. A balancing of the LRE factors establishes that District’s SDC preschool for moderately to severely disabled students was not the LRE for Student. While District may believe its SDC may be a “better program” for Student, the issue at hand is not whether the SDC preschool was better at the times it was offered but whether the placement was reasonably calculated to provide an educational benefit to Student in the LRE and whether he could be satisfactorily mainstreamed in a general education setting for any period of the educational day. An appropriate program for Student has to consider the least restrictive environment within which Student may receive an educational benefit. Congress’ strong preference is that students be included to the maximum extent possible with general education students. There is insufficient evidence to conclude that Student is incapable of accessing education in a lesser restrictive setting, such as a regular preschool, with adequate supports and modifications. In fact, the evidence established that the information available to District from Student’s placement at Little Handprints showed that Student could benefit from placement in a regular preschool with appropriate supports and accommodations. Accordingly, District’s offer of placement in its SDC five days per week, for 150 minutes per session, contained in Student’s August 2011, April 2012, and June 2012 IEP’s, was not an offer of a FAPE in the LRE. 103. Student requests that District reimburse Parents for Little Handprints tuition and privately obtained speech and language therapy from August 2011 through the present. Student requests as compensatory education intensive one-to-one instruction in core academic subjects provided by a nonpublic agency. Student also requests that District provide him with a full-inclusion placement with appropriate supports and services, including a trained one-to-one aide and an independent inclusion specialist experienced in working with children with Down’s syndrome. 104. Parents may be entitled to reimbursement for the costs of placement or services they have procured for their child when the school district has failed to provide a FAPE, and the private placement or services were appropriate and replaced services that District failed to provide. 105. Student seeks reimbursement for Reedy’s speech and language therapy Parents privately obtained in April 2012. However, Student did not raise an issue in this matter that he was denied a FAPE with respect to speech and language therapy. Furthermore, the evidence established that District continued to make speech services available to Student after Parents removed him from the SDC. However, Parents chose not to avail themselves of these services. Accordingly, Student is not entitled to reimbursement for speech therapy Parents obtained for him during the 2011-2012 school year. 106. The appropriateness of the unilateral private placement is governed by equitable considerations. The placement need not provide the specific educational programming required by the IDEA of a local education agency, provided it demonstrates that the placement provides educational instruction specially designed to meet the unique needs of a handicapped child and the child benefitted from the instruction. 107. Student was already socially confident before attending Little Handprints. He not only separated easily from his Parents, but joined easily with strange adults and peers. For example, he joined easily with District’s evaluators in August 2011, experienced no difficulty transitioning mid-year from NISP to SDC. Student has always greeted strangers with a big smile, a wave, and by saying “hi,” and adds a hug for known adults, such as Ramos. Initially, Student ignored his peers on arrival and dumped box after box of toys before selecting one. He progressed to making eye contact with his classmates at Little Handprints before saying “hi” even if this meant placing himself at their level. However, Student’s speech deficits still prevent him from saying their names. By June 2012, Student was initiating his own play or joining classmates playing with toys or engaging in an activity that interested him. He shares toys cooperatively in parallel play with his classmates and in cooperative play with his siblings. Student models classmates in putting toys away without the repeated prompting he previously needed. 108. At the beginning to the 2011-2012 school year, the record established that Student needed, and was provided, a one-to-one aide at Little Handprints. By April 23, 2012, Sheldon admitted in her Paraprofessional report that Student “was making progress” at Little Handprints. Sheldon relied in part on this finding to conclude that Student no longer needed a one-to-one aide at Little Handprints. 109. Ramos testified credibly that Student’s improvement in motor skills, particularly gross motor skills, was “fantastic!” In six months, Student progressed from being unable to sit up unsupported and sprawling on the floor during circle time, to sitting with the support of his Rifton chair, to sitting independently on an ordinary chair. Student also progressed from needing help in using stairs, to climbing the slide and running around the playground unaided. 110. Student also made progress in his fine motor skills. At the end of each circle time, Ramos asked the “lead” pupil that day to state the date and follow her finger in pointing out the correct day on the calendar she displayed. Although Student rarely vocalized any response, he progressed from randomly banging the calendar to pointing out the correct day in the same way as his classmates. Student met his goals of drawing circles and lines. While Student still needed hand over hand help with scissors by the end of June 2012, so did many of his typically developing peers. Although, the improvement in Student’s fine and gross motor skills is attributable in part to both maturation and the OT services he received from District, Little Handprints provided him typically developing peers to model in addition to the similar opportunities to practice his motor skills as those offered by District’s SDC. Ramos’s August 2011 letter credibly describes the support and encouragement Student needed and received from the friends he made at Little Handprints. 111. As to whether Student made progress in his cognitive skills, the record showed that in February 2012, Student was not fully capable of completing a two-piece floor puzzle. Ramos testified credibly that by June 2012, after two or three attempts with help, Student could independently complete a shape puzzle with eight identically-shaped pieces by matching the visual on the pieces to the corresponding visual on the board. Consequently, his achievement in exceeding his puzzle completion goal is attributable to the instruction he received at Little Handprints. 112. In her April 23, 2012 Paraprofessional report, Sheldon recommended that staff shadow Student from a distance, and sit slightly behind him to deter him from soliciting individual attention from the instructor. Ramos testified credibly that Little Handprints staff followed Sheldon’s advice, and Student’s solicitations for attention decreased. Both Ramos and Mother testified credibly that Student followed verbal instructions with less prompting after his bilateral ear tubes were replaced again in May 2012. 113. However, the record established that Student’s most pressing educational need was to acquire speech and language skills. Student needed intensive specially designed instruction to make progress in overcoming his severe speech and language deficits. District’s staff repeatedly and consistently testified that intensity of specially designed instruction results from the frequency and duration of the specialized instruction provided in a setting with the smallest possible staff to pupil ratio. Accordingly, the testimony of these District staff members established that Student’s speech and language needs could, and should, be addressed through more frequent and longer individual sessions with a speech therapist. Such services may be provided by pulling Student out from a regular preschool classroom. Consequently, Student’s need for intensive speech therapy did not make Little Handprints an inappropriate placement. 114. A unilateral placement does not have to offer every service needed to meet a student’s potential. However, the unilateral placement does have to provide specialized instruction designed to meet the student’s needs as well as any support services the student needs to benefit from that instruction. The above evidence concerning Student’s experience at Little Handprints establishes that placement there was appropriate for purposes of a reimbursement order because the instruction that Student received was substantially similar to the specialized instruction provided to Student in District’s SDC, and Student made some progress. 115. The evidence established that Parents spent $2,225 in tuition for Student at Little Handprints from September 2011, to August 2012. The record also showed that Student needed and was offered instruction during an extended school year. 116. The record showed that Parents reasonably removed Student from District’s SDC as soon as Mother observed him in the SDC. Although Parents timely notified District on their unilateral placement of Student at Little Handprints, they failed to include that it would be at public expense. However, as discussed below, District failed to provide Parents prior written notice of their reimbursement rights and responsibilities. Therefore, Parents were excused from including a statement that they intended to place Student at Little Handprints at public expense. Student established that District denied him a FAPE in the LRE, and that Little Handprints was an appropriate placement for him. Thus, Parents are entitled to reimbursement for the tuition they paid to Little Handprints for the 2011-2012 school year. 117. Reimbursement may be reduced or denied in a variety of circumstances, including when parents fail to give written notice to the local educational agency of their rejection of the proposed public placement and their intent to enroll a student in a private school at public expense at least 10 business days prior to removing the child from the public school, and when a parent acts unreasonably with respect to the unilateral private placement. District bears the burden of proof of this affirmative defense. 118. Here, Student seeks reimbursement for his placement at Little Handprints for the entire 2011-2012 school year, and through the extended school year to August 2012. The evidence established that Parents consistently rejected District’s IEP offers during the 20112012 school year. However, until May of 2012, Parents did not provide District with written notice of their intent to place Student at Little Handprints. Parents did not provide District notice of their intent to seek reimbursement for the placement until June 2012, when OAH provided Parents adequate notice of their reimbursement rights and responsibilities. But, as discussed below, the evidence also established that Parents were not fully informed of their procedural rights and responsibilities as District failed to provide them with the requisite procedural rights. 119. As found above, on May 22, 2012, Parents notified District that they had placed him in a private preschool and would place him there permanently unless they received an appropriate offer. Parents testified credibly that they did not notify District that Student’s placement at Little Handprints was “at public expense” because they did not know that District may be required to fund a private preschool placement if its IEP offer denied Student a FAPE in the LRE. 120. Parents acknowledged receipt of District’s “Parents Rights” notice by initialing so on the IEP documents at each of Student’s IEP team meetings. The “Parents Rights” document is a short summary of selected parental rights and does not constitute a complete disclosure of all parental rights required by law. It is undisputed that the “Parents Rights” document does not inform Parents of their reimbursement rights under the IDEA. Sheldon testified that she also mailed Parents District’s complete version of parental rights, entitled “Notice of Procedural Safeguards” in District’s original assessment packet sent to Parents in May 2011. Parents denied receiving this document, and believe they acknowledged receipt of the “Parents Rights” summary when they consented to Student’s assessment. 122. However, the above disclosure was not contained in the Parental Rights summary document that Parents received. Olson testified that District had three separate versions of its parental rights and procedural safeguards that it used on different occasions. Given Sheldon’s credibility problems discussed elsewhere in this decision, and District’s confusing practice of maintaining three separate prior written notices, Parents’ version of not having been provided the appropriate version of the procedural safeguards is more credible. 123. Weighing the equities, District did not meet its burden of proving that Parent’s request for reimbursement for the costs of tuition at Little Handprints should be reduced. The record showed that District offered Student an extended school year in its June 6, 2012 IEP. Accordingly, Parents are entitled to reimbursement for the costs of tuition at Little Handprints from September 2011 to August 2012. 125. While Student requested compensatory education in his complaint, he failed to present sufficient evidence and did not argue this issue in his closing brief. Student failed to meet his burden as to what his educational loss was that would be compensated by an award of intensive one-to-one instruction in core academic subjects. As the evidence established, Student’s educational loss was the time that he could have been educated with typically developing peers had District offered him a FAPE in the LRE. To remedy that, Parents provided Student with the opportunity to be educated with typically developing peers. This decision provides Parents reimbursement for the cost of that placement. Accordingly, compensatory education is not warranted. 126. Student requested placement at Little Handprints during the 2012-2013 school year. However, Student provided no evidence of his current needs, and failed to address this issue in his closing brief. On the other hand, District argued persuasively that no prospective relief is permissible in this case because Student’s claim of denial of a FAPE relate solely to the 2011-2012 school year. 127. The IEP’s that were at issue in this matter concerned the time period of August 2011 to August 2012, when District was required to convene Student’s annual IEP team meeting. The parties did not present evidence as to whether Student’s annual IEP for the 2012-2013 school year was developed and whether Parents accepted the offered placement. 128. This decision does not make any findings on whether District has offered Student a FAPE in the LRE for the 2012-2013 school year, which would be required in order to determine what is appropriate as prospective placement for Student. Accordingly, Student’s requests for prospective relief are denied. Did District deny Student a FAPE by significantly impeding Parents’ ability to meaningfully participate at the August 19, 2011, April 23, 2012, and June 6, 2012 IEP team meetings because it did not have a general education teacher in attendance? 15. In accordance with Factual Findings 1 through 55 and Legal Conclusions 1 through 14, and 22, District committed a procedural violation that denied Student a FAPE by significantly impeding upon Parents opportunity to participate in the decision-making process when it failed to include a general education teacher at the August 2011, April 23 and June 6, 2012 IEP team meetings. 16. The evidence showed that District knew Parents were concerned about educating Student in the LRE, and wished to discuss whether Student could be mainstreamed in a regular preschool at his IEP team meetings. The evidence showed that Student was a pupil who could be educated in a regular preschool setting. No member of Student’s August 2011, April 2012, and June 2012 IEP teams was a regular education teacher, or a designated person with sufficient knowledge of District’s available mainstreaming options. As previously discussed, the record showed District invited Ramos, Student’s private preschool instructor, to attend only his June 2012 IEP team meeting. When District knew Ramos could not attend, it failed to ask her to submit a written report of Student’s progress at Little Handprints, and the accommodations and modifications provided to him there, for the IEP team to consider. 17. Relying on G.A. v. State of Hawaii, Dept. of Ed., District argued that Student’s current private preschool teacher was not a required member of Student’s IEP team because IEP team members Snider and Sheldon had observed Student at Little Handprints, interviewed Ramos, and provided the gathered information to the IEP teams for consideration. (G.A. v. State of Hawaii, Dept. of Ed. 2011 WL 3861431 (D.Hawaii) (G.A.).) OAH has previously rejected the argument that the brief observations and interviews that occur during evaluations of a pupil provide an IEP team member with sufficient knowledge to qualify as a substitute for the current teacher. (S.B. v. Pomona Unified School District 2008 WL 1766953 (C.D.Cal.).) Further, G.A. is an unpublished, lower court opinion that cannot countervail the Ninth Circuit’s decisions in M.L., Target Range, and Shapiro that required the attendance of the current private school teacher or a representative from the private school because these persons knew the child best. 18. Relying on another unpublished, lower court decision, Hensley v. Colville School District, District argued it was not a denial of FAPE if the regular education teacher in attendance had not yet taught the child. (Hensley v. Colville Sch. Dist. 2009 WL 249281 (Wash.App.Div.3), rev. denied (2009) 166 Wash. 2d 1020, cert. denied (2010) 130 S.Ct. 1517 (Hensley).) While it is true that the prospective regular education teacher fulfills the role of the regular education teacher at an IEP team meeting, District argued that Strimling was a certified general education who knew of District’s mainstreaming options, and who would be implementing Student’s IEP if he was placed in the SDC. In other words, Strimling was not the prospective teacher responsible for implementing Student’s IEP in a regular education setting. Further, as previously discussed, the record showed that Strimling knew of District’s attempts to provide SDC students with de minimus opportunities to interact with kindergarten students during recess and with Little Handprint students on special occasions rather than District’s full range of mainstreaming options. 20. Thus, District significantly impeded Parent’s opportunity to participate in Student’s IEP process at the August 2011, April 23 and June 6, 2012 IEP team meetings. Did District deny Student a FAPE by significantly impeding Parents’ ability to meaningfully participate at the August 19, 2011 IEP team meeting because it did not consider and discuss a continuum of placement options? 24. In accordance with Factual Findings 56 through 62 and Legal Conclusions 1 through 8 and 21 through 23, District did not commit a procedural violation that denied Student a FAPE by significantly impeding Parents’ opportunity to participate in the decisionmaking process when it failed to consider and discuss a continuum of placements options. District is not legally required to consider and discuss a continuum of placement options. Did District’s offer of placement in a SDC in the August 19, 2011, April 23, 2012, and June 6, 2012 IEP’s deny Student a FAPE in the LRE? 26. In Rachel H., the Ninth Circuit determined the appropriate placement for a well-behaved, popular, moderately mentally retarded nine-year-old student was in a regular second grade classroom, with some supplemental services, as full-time member of that class, despite the fact that the student had an I.Q of 44, and operated at the level of a four year old child. The court held that the school district’s proposal that the child be in a special education class 50 percent of the day ran directly counter to Congress’ preference that children with disabilities be educated in regular classes with children who are not disabled. 27. In accordance with Factual Findings 63 through 102 and Legal Conclusions 1 through 5, and 25 through 26, District’s offer of a SDC placement in Student’s August 19, 2011, and April 23, and June 6, 2012 IEP’s denied Student a FAPE in the LRE. Based on the “snapshot” rule taking into account what was, and what was not, objectively reasonably known at the time the IEP’s were drafted, District was on notice from Student’s IFSP file, Student’s August 17, 2011 multidisciplinary evaluation, Ramos’ August 2011 report, and Parents’ and Rossi’s comments during the August 17, 2011 IEP team meeting, that Student was capable of obtaining educational benefit in a regular preschool setting. District also knew that Student’s speech and motor skills needs could be addressed through provision of services. Therefore, District’s August 2011 IEP offer of a 100 percent SDC preschool placement did not offer Student a FAPE in the LRE. 28. As to the April 2012 IEP placement offer, Sheldon’s observations at Little Handprints from November 2011 to March 2012 and her April 2012 Paraprofessional report supplemented District’s knowledge of Student’s ability to be mainstreamed. Parents repeatedly notified District that they preferred a full-inclusion setting with services, including a one-to-one aide. The evidence showed that Student had progressed at Little Handprints since August 2011. Sheldon acknowledged this in her April 2012 Paraprofessional report, and based her conclusion that Student no longer needed a one-to-one aide at Little Handprints on Student’s admitted progress. Therefore, District’s continued offer of placement for 100 percent of the time in the SDC preschool did not offer Student a FAPE in the LRE. 29. By the June 6, 2012 IEP team meeting, District continued to understand that Parents disagreed with its IEP offer because it did not provide for any mainstreaming with typically developing peers. All of the evidence available to District established that Student was capable of receiving an educational benefit in a lesser restrictive setting than the 100 percent SDC placement, with related services, that District offered. District’s failure to offer placement in a regular preschool environment with related services denied Student a FAPE in the LRE. 30. The inquiry here does not turn on whether the SDC was a more appropriate program for Student, but rather upon what is the least restrictive environment in which this pupil can receive an educational benefit. Congress has a strong preference that students be included to the maximum extent possible with general education students. The evidence established Student was capable of accessing education in a lesser restrictive regular education class with adequate special education supports and modifications during the 20112012 SY. Accordingly, District’s IEP offers of August 19, 2011, April 23, 2012, and June 6, 2012, denied Student a FAPE in the LRE. 25. In accordance with Factual Findings 55, and 103 through 128 and Legal Conclusions 1 and 31 through 34, Parents are entitled to reimbursement for the costs of placing Student in Little Handprints from September 2011 through August 2012. All other requests for relief are denied. 1. District shall reimburse Parents $2,250 for the cost of tuition for Student at Little Handprints from September 2011 to August 2012. Education Code section 56507, subdivision (d), requires that the hearing decision indicate the extent to which each party has prevailed on each issue heard and decided. Student prevailed on Issues 1 and 3. District prevailed on Issue 2.